← Easter Sunday; Oh, the Bliss! So I recently found an old journal of mine from when I was 17-ish. I’ve been writing in a journal ever since I was 11 or so, so this one is probably Vol. CLVIIEKDV or something. 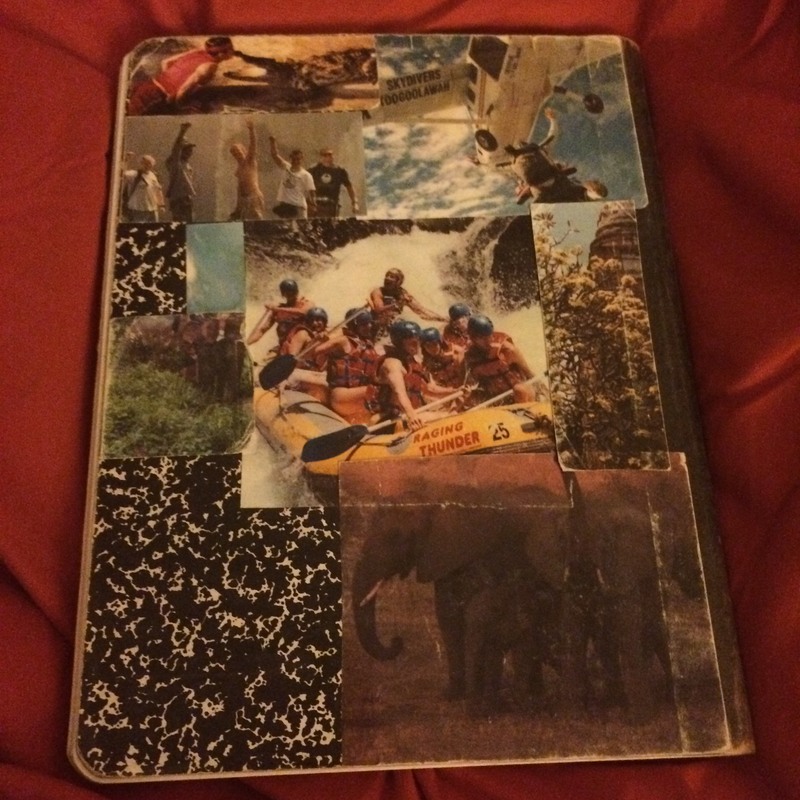 I covered this particular journal in pictures cut from a travel catalog a couple of hot Australians handed to me during one of those college & career fairs. BECAUSE ADVENTURE. When I found it OF COURSE I immediately started reading it, and OF COURSE I immediately started cringing and breaking out into hives and nervous laughter. I was SEVENTEEN AGAIN, minus Zac Efron’s excruciating romantic encounter with his own daughter. I promised the Twitter I would share excerpts, because I mean, HOW COULD I NOT? Seventeen-year-old Jessie was a GEM, you guys. And also a WELL of emotions and adverbs. Every single adverb. There’s really no way to set up any of what’s about to happen, so let’s just dive right in. You guys, I fell in love with a different boy pretty much every other month. REAL, TRUE, LASTING LOVE, OBVI. What follows that delicious opener is a dissertation two solid pages long on dating vs. trusting God will drop my future husband (MY SOUL MATE) into my arms (or vice versa) because I probably had just finished reading I Kissed Dating Good-Bye and DUH, THAT’S BASICALLY WHAT HAPPENED TO JOSHUA HARRIS. You guys, I was SO FULL OF WISDOM AND EXPERIENCE AND TRUTH back then. I’m pretty sure every single teenage girl I know today is a thousand times cooler and more self-aware than I ever was at 17. And is love truly a search or more of a stumbling, you just happen into it, you just stumble into someone’s life and something new happens. THIS IS THE DIRECT RESULT OF TOO MANY MEG RYAN MOVIES. Thanks for NOTHING, ’90s Meg Ryan. OMG, THE ELLIPSES! This girl’s story isn’t over yet! Will she find THE ONE? Will she discover what it means to stumble into love? Will there be a Part II? Only time will tell! 17YO Jessie is way deeper than full adult me. Can’t wait for the next instalment. Jessie-at-17 would have DIED of anyone read this journal. Now the whole internet can read it. Posting this took guts. You didn’t know if people would laugh at you.